‘Uranus-6’ and ‘Uranus-9’ - which have already been tested for the event’s rehearsal - will roll through Red Square on May 9. "Uranus-6" is an armored sapper vehicle designed to demine cities, forests, and mountainous areas. The robot is equipped with four video cameras, interchangeable “trawlers,” and a mechanical grip - it’s also installed with technology able to detect various types of mines. The robot weighs no less than six tons and can be controlled remotely from up to one kilometer away. A single machine replaces the work of 20 sappers. Its sibling "Uranus-9" is designed for reconnaissance and infantry support. 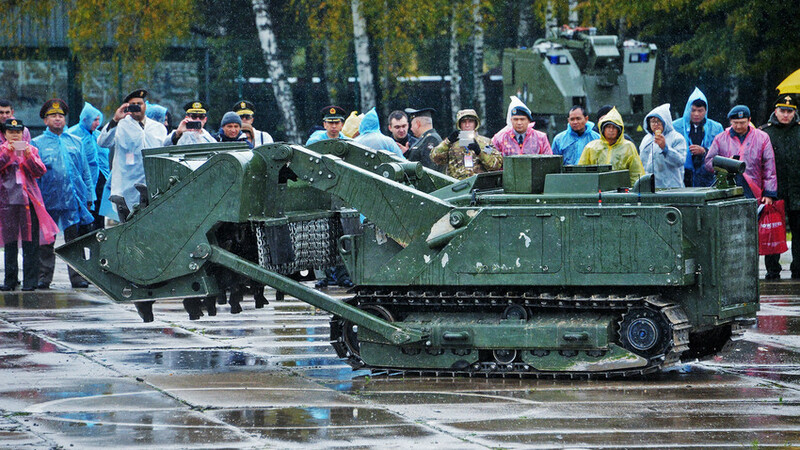 Uran-9 fighting robot at the exhibition, Russian Law Enforcement Agencies' Advanced Technology Day. 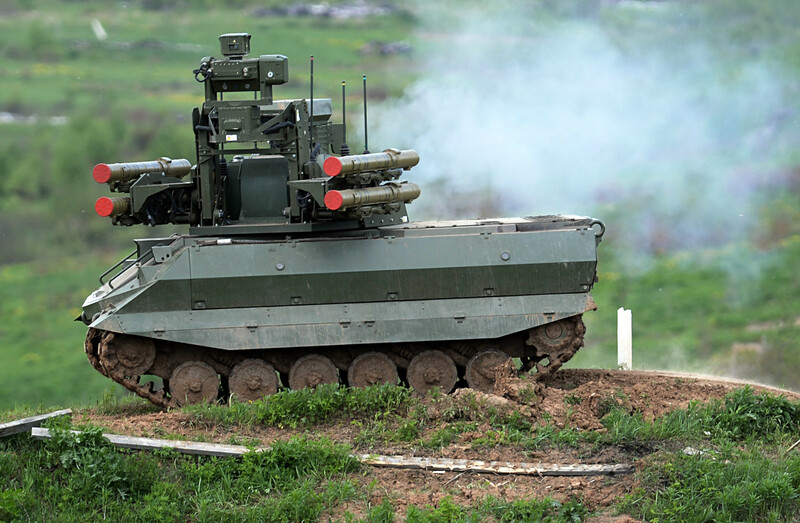 This ten-ton metal beast is armed with a 30-millimeter automatic cannon, machine gun, and a multi-channel guidance system with optical, laser, and infrared channels. The robot is controlled remotely via a radio channel with pseudo-random frequency tuning. 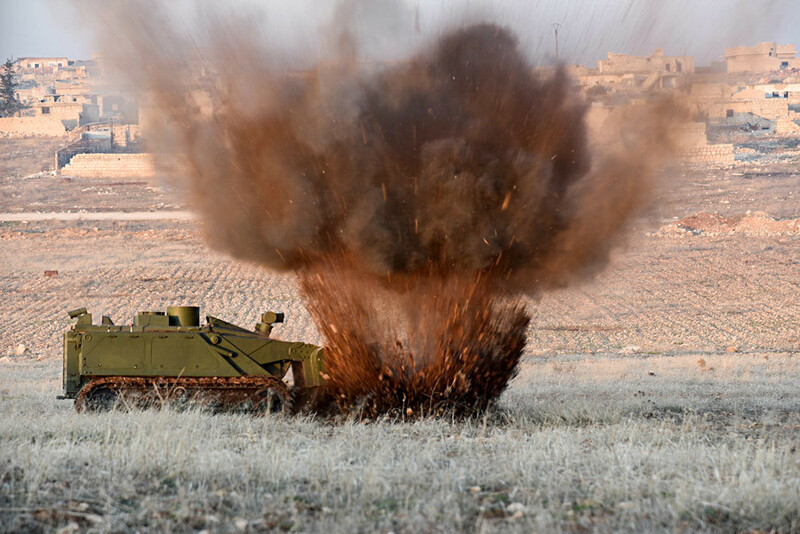 This year Russia will showcase new additions to its military, including the “Terminator” tank support vehicle, “Tor-M2” anti-aircraft missile system, and Su-57 fifth generation fighter jet.